You might have guessed by now that these kind of shades are my personal favourite and I think they suit all skin tones but look amazing on olive skin tones in particular (yay for me). With four in the category let me tell you about each one in particular. First up is the Topshop Lip Liner in Deception which is an amazing lip liner to use under a dark lipstick for longevity and to add a deeper tone to the lips, but it's also great to use on its own. You do need to have super moisturised lips if you want to use it on its own and I love having a lip balm handy if I need to keep my lips in good shape throughout the day. 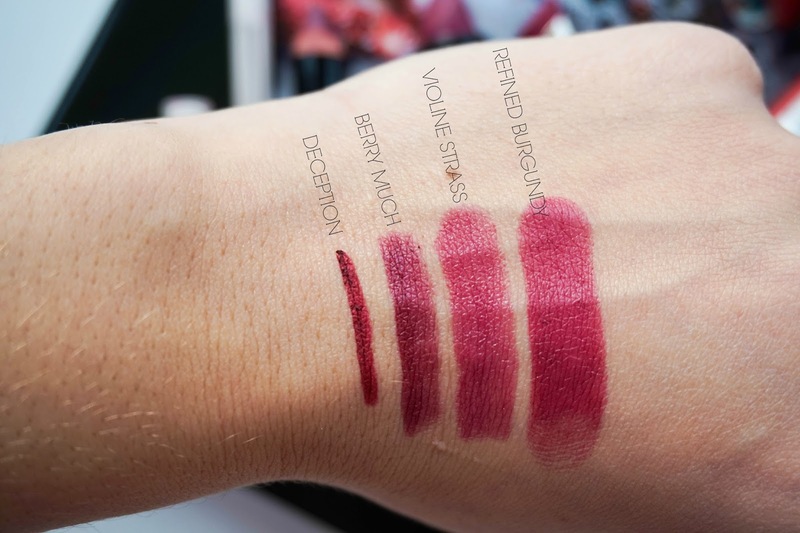 Maybelline Color Drama in Berry Much has been a favourite of mine this winter as it is creamy yet long lasting with a semi matte lipsticks. 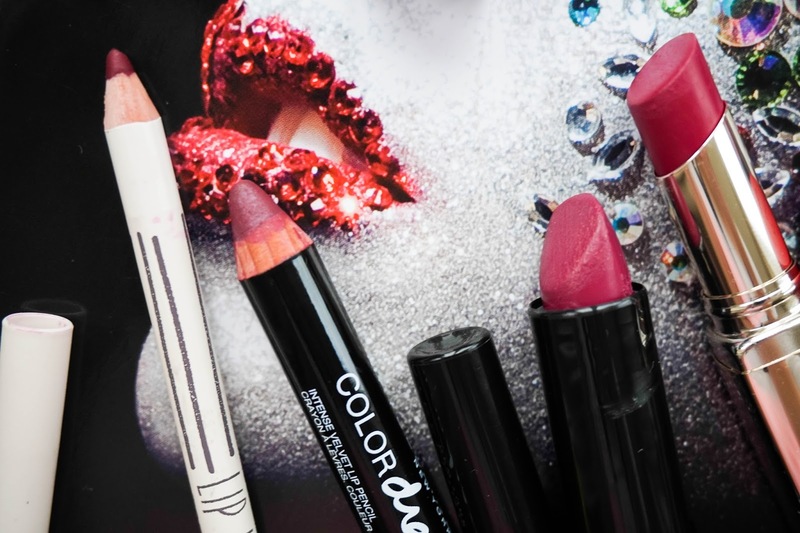 The brand have got it spot on with these lip pencils and I just wish they would release a few more shades, as this one seems to be the only one I truly like out of the bunch. The Bourjois Rouge edition in Violine Strass is one I bought almost a year ago and it has been barely used since I wasn't confident enough to wear it out in public. That is until now when I have finally discovered my love for berry tones and given this beauty a run for its money. I love the moisturising formula and the shade itself. Last up is KIKO Ace of Diamonds in Refined Burgundy which is from a limited edition so I am not sure if you can still find this in stock anywhere. First off I love the packaging, so sleek and beautiful. Secondly I love the formula, it is semi matte yet hydrating and long-lasting, not to mention it is such a stunning berry shade. 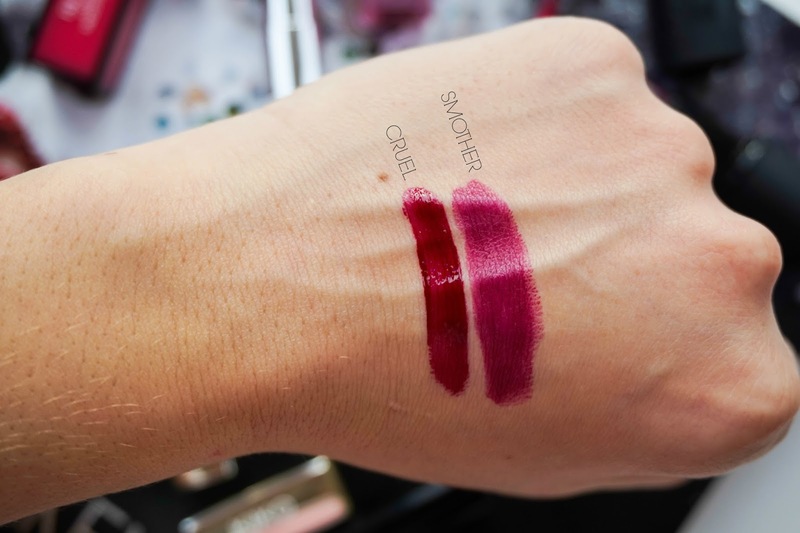 The next two shades have got that berry tone to them still, but in a more sheer way that can be build up to your own personal preference. If you are scared of wearing bold shades like I use to be these are your best friends since they are the first step towards the dark side. 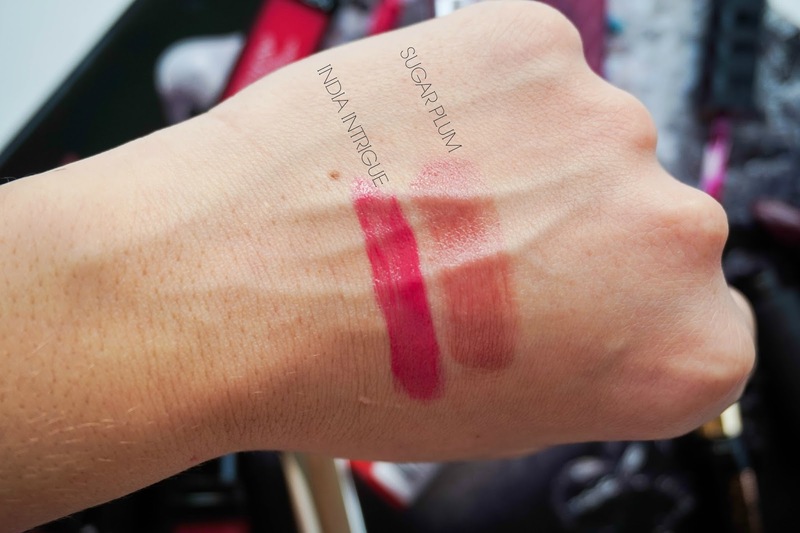 First up Revlon Colorstay Moisture Stain in India Intrigue which is a subtle hot pink and one that I loved wearing towards the end of the summer. 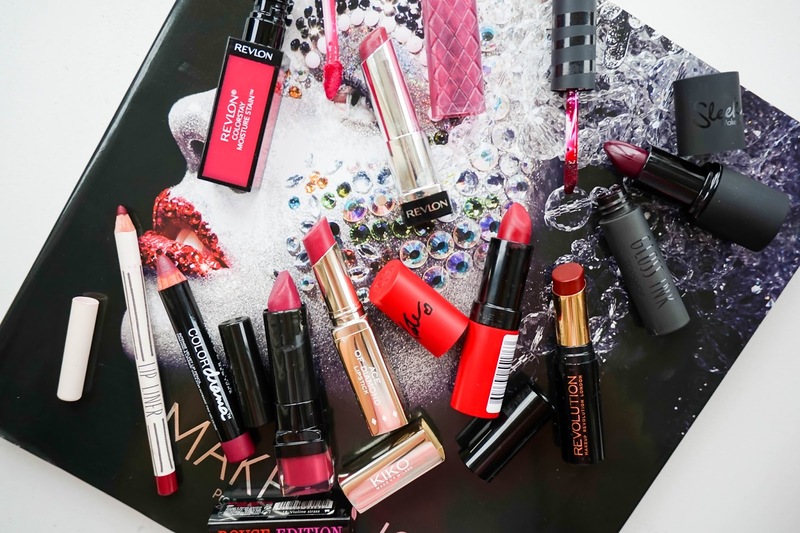 These lip products have had a mix of review and I think they are the sort of products that you either love or hate. I personally loved this shade because it has been long lasting and moisturising at the same time. Revlon ColorBurst Lip Butter in Sugar Plum is another great moisturising lip product with a hint of colour, this is the only shade I have from this hyped up product but I am definitely keeping an eye to for more I can add to the collection. If you have any suggestions please let me know? I have mentioned before that red is not really something I feel comfortable wearing but if the shades are dark with a deep wine tone to them, then I strangely find them easier to pull off. 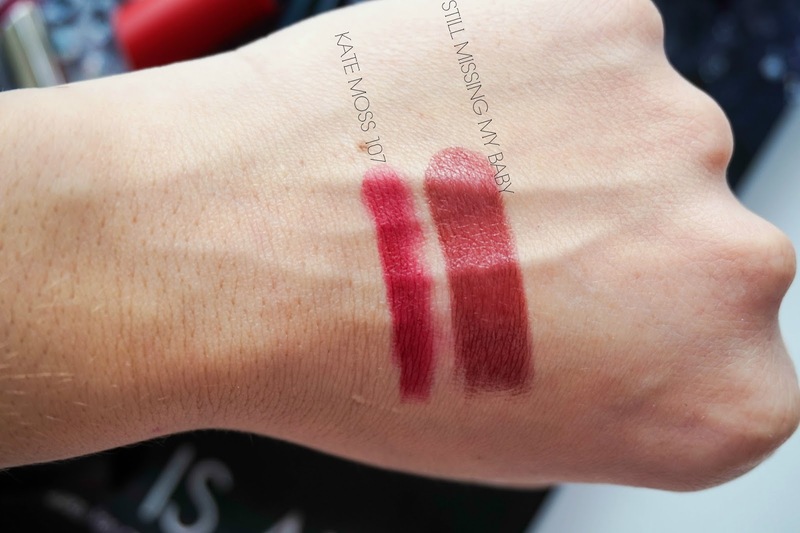 Rimmel Kate Matte Lipstick in 107 is probably one of the most raved about lipsticks in the blogging community and funnily enough one that I only found out about recently (living under a rock sometimes). This is a gorgeous shade with a matte finish so even though it doesn't dry out my lips I do find that they need to be in good condition for this lipstick to sit right. Another new addition to my collection is the Makeup Revolution #LipHug in Still Missing My Baby. First off what a cute name right and secondly how gorgeous is this packaging for only £2.50. This is a stunning shade that can be built up or kept on the more natural side since it is quite sheer. Another product that came to mind as I was writing this is the Rimmel Provocalips in Play with Fire which I reviewed here and also used in a festive makeup look here. Can't believe I forgot all about it as it's the perfect deep red shade (bad blogger). Last up we have two scary shades that are really bold and totally out there. These are definitely not everyone's cup of tea and I still struggle with wearing them myself, unless I am on a night out. First up Topshop Gloss Ink in Cruel which is a really dark berry shade with tones of purple through it. I find that this needs a lipliner underneath as it tends to bleed a bit and it's not really on the long lasting side of things, which is a shame for a shade so dark. I do love the glossiness to it though. 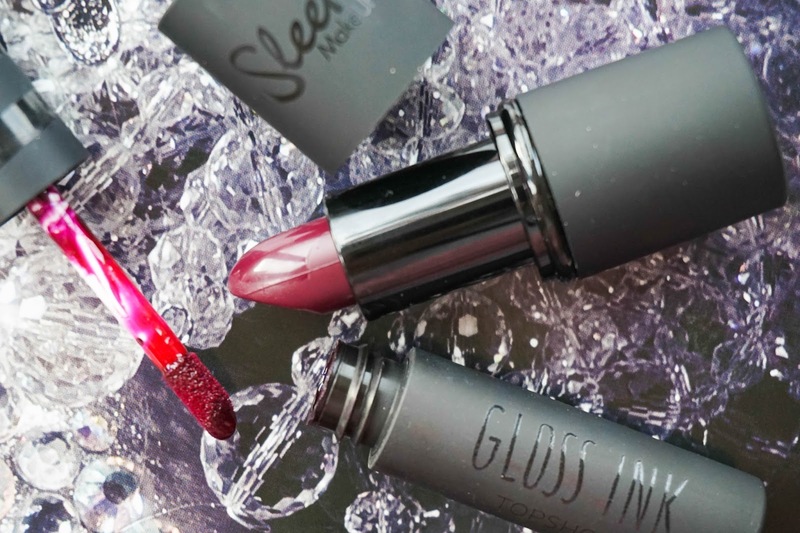 Sleek True Colour Lipstick in Smoother is another purple toned lipstick with a glossy finish and again one that I feel need to be lined underneath because it also tends to bleed through. It isn't long lasting which is why I tend to steer away from it as I hate re-applying through out the day constantly especially with such a dark shade. However there is no denying how stunning this shade really is. 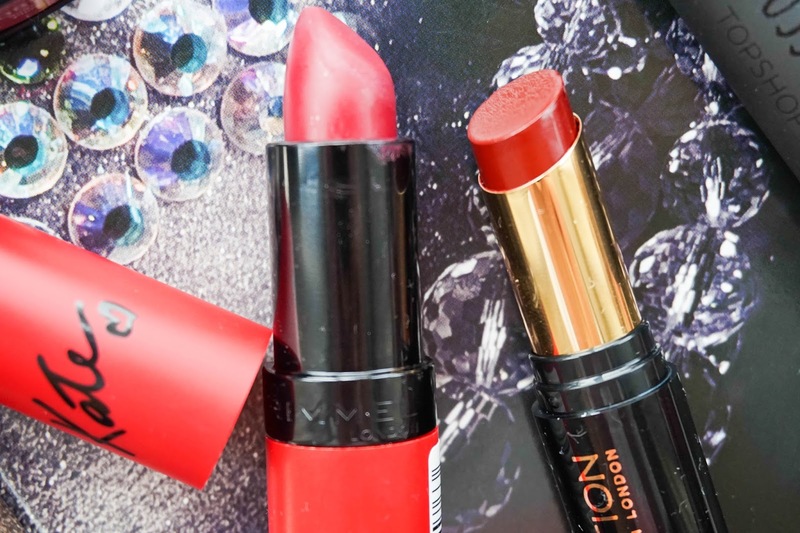 Phew it's finally over you say, I hope you managed to stick with me until the end as I had so many lip products I just wanted to show off whether it was for their gorgeous shade, moisturising properties or longevity. 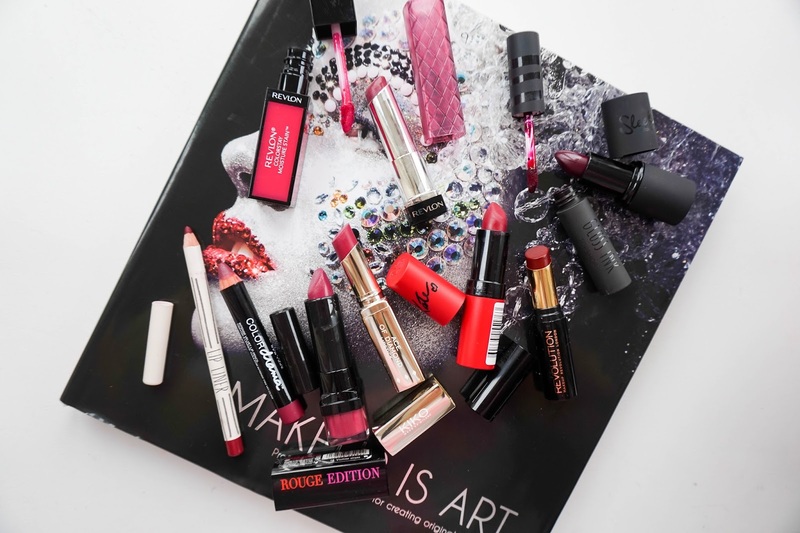 I'd love to know what berry shades you have been loving this winter? 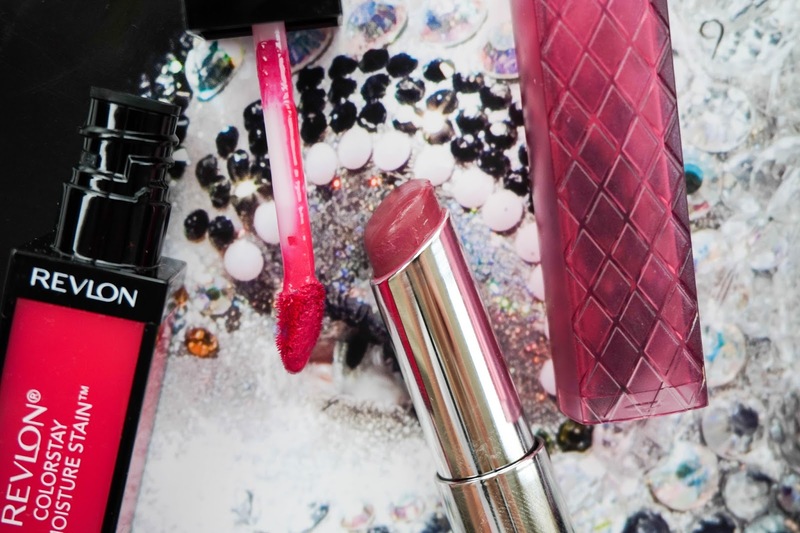 Do any of these shades here tickle your fancy?